We tend to be lay-about-the-house people on weekends. Thus, we are always in a rush to get out the door on those occasions where the kids have birthday parties to attend. 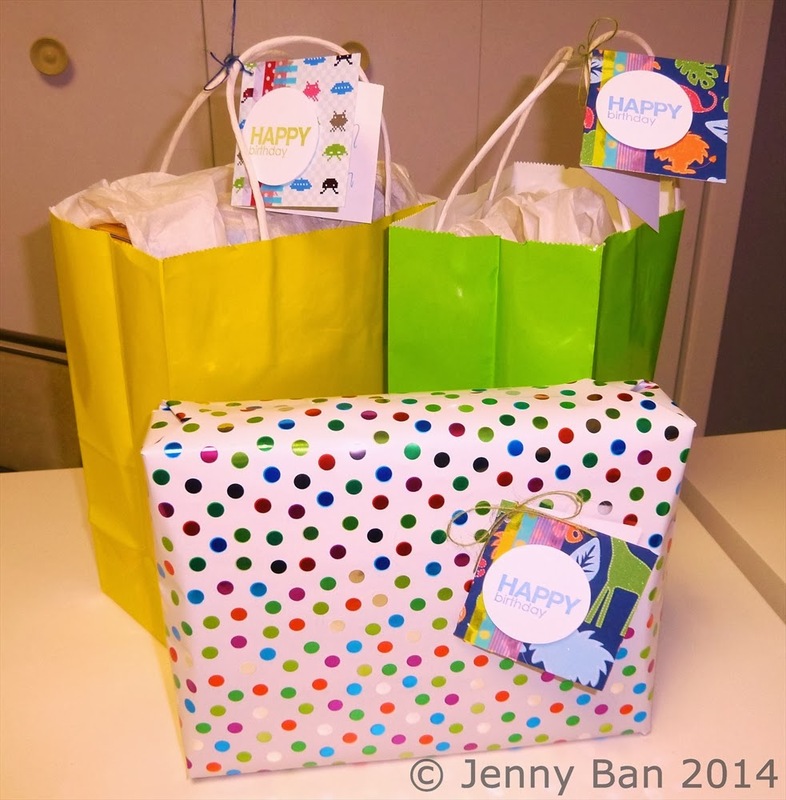 I have gotten pretty good about reusing gift bags, but our "cards" are usually a hastily written piece of card stock with the "To" and "From" names on them. 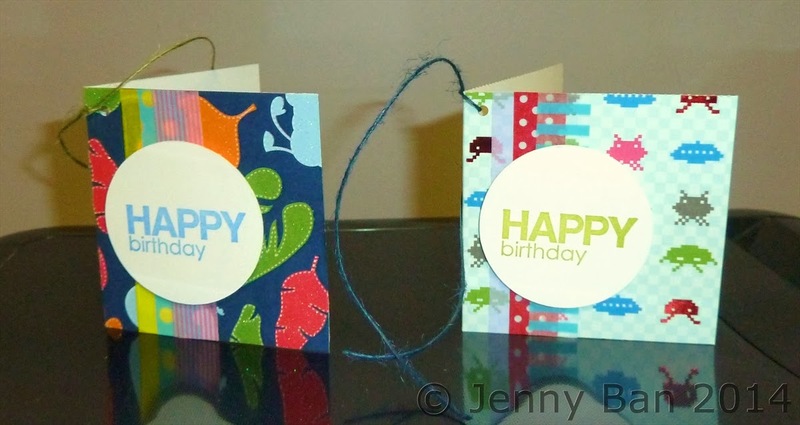 I decided to make a little stock of 3" x 3" birthday cards that work as bag tags or present toppers. 3" x 3" is a nice easy size to make, as you can get 8 cards out of a 12" x 12" piece of card stock. I die-cut circles of white card stock and stamped them with one of my favorite versatile A Muse Studio stamp sets, "That's the Ticket". The ink colors are A Muse Studio blueberry and grass. I also used the A Muse Studio 3D Foam Pieces to pop the circles up and give the cards some dimension. A Muse Studio has the best 3D Foam for cardmakers. I dressed up the cards with washi tape and colored twine, so now my presents will be so much prettier! If this inspires you to make some cute tags, I hope you will share the photos with me. I love fast and easy projects like this one. If you want to order any supplies, check out my A Muse Studio webstore. Thanks!